The Coetzenburg is the first Athletics Stadium in South Africa to feature the new state of the art lighting system, which was part of its recent upgrade. 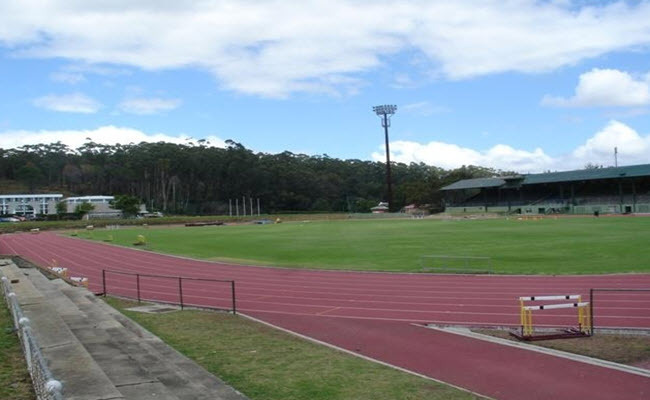 Installed by Maritz Electrical, the stadium of the University of Stellenbosch is now the first and only stadium to cater for all athletes during the day or night. Owned by the University, the stadium is ten years old. Its track has seen both world champions as well as Olympic Gold medal winners compete and train over the past few years. The upgrade included lighting systems that are equal to that at the St George’s Park Cricket Ground. It features a new dimension of stadium lights that includes an LED lighting system. The new lighting system at the Coetzenburg Stadium installed by Maritz Electrical is the Musco system, a world-renowned system used by famous stadiums such as the Arsenal Emirates Stadium and the Twickenham rugby stadium as well as several Formula 1 race tracks. The new lighting system installed at the Coetzenburg athletic stadium features six lux levels. Its unique solutions include on the field 500 lux and on the track 850 lux, sufficient to enable the perfect situation for television cameras. The total number of Musco fixtures installed is 128 installed around the track, including 107 TLC LED 1150W on the five masts as well as 21 TLC LED 600s on the roof of the grandstand. The Musco lighting system is controlled by a multi-watt function, allowing the lightning to be set to three levels including 100% power, 50% power or just 30% power. The lightning installed at the Coetzenburg stadium carries a warranty for ten years and have already hugely reduced the university’s maintenance costs. At the same time, the brand-new lightning systems add significantly to the value of the property of the university. The Coetzenburg stadium is used during the off-season by international athletes for training and athletes from Hungary, Spain and Germany were amongst the teams that trained during the installation of the lighting system. The new LED system also takes South African athletics to a whole new level. It provides SA athletes with the opportunity to train at a stadium that is on par with international standards. The upgrade maintains the status of the university as one of the world’s best athletic venues.